A celebration of life funeral service for Ellen will be held on Saturday, February 2, 2019 at 10:30 am at Nishna Valley Funeral Home with Rev. Rick Sleyster officiating. The family will greet relatives and friends with visitation and viewing from 5:00 to 7:00 pm Friday, February 1, 2019. Burial will be in the Rose Hill Cemetery next to her husband, Chester Stambaugh. Ellen Luetta (Phillis) Stambaugh was born October 11, 1933 in Villisca, Iowa, the daughter of James D Phillis and Leona Marie (Burroughs) Phillis. 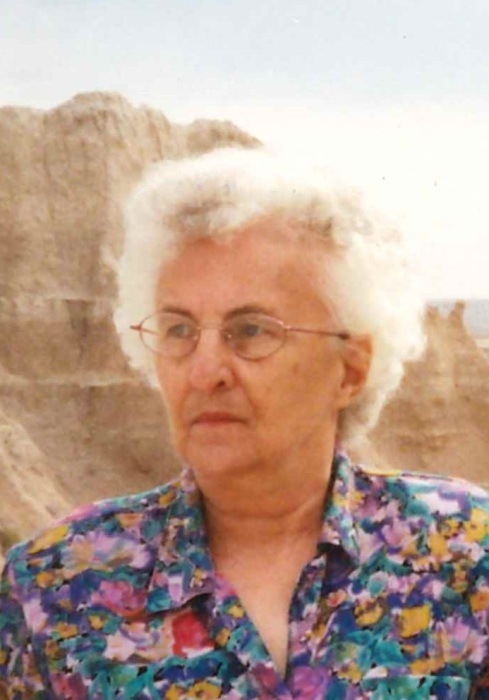 She passed away suddenly Sunday morning, January 27, 2019 at her rural Villisca home, at the age of 85 years, 3 months and 16 days. Ellen grew up in Villisca and graduated from Villisca High School in 1952. On October 28, 1956 she was united in marriage to Chester Glen Stambaugh in Coin, Iowa. This union was blessed with two children; Ernie and Chet. Early on, Ellen worked as a waitress at Sierps Cafe in Villisca. When she moved to Shenandoah, she continued to waitress at various cafes including the American Legion Country Club in Shenandoah where she was a waitress for nearly ten years. She and Chester moved to the Goodner Farm east of Shenandoah in December of 1966 and when she left the American Legion in the Summer of 1968 she became a homemaker and helped with the farming. It was at this time she and Chester became members of the Norwich United Methodist Church. In 1978, Ellen and Chester moved to the Frank Kelly farm and farmed for Virginia Apydin for two years. They then moved to rural Prescott, Iowa and farmed an additional two years. In March of 1982, Ellen and Chester moved to rural Taylor county, near Villisca, to farm. In the mid-eighties, Ellen once again started working in Villisca, this time as a CNA at the Good Samaritan Society Care Center. During her time there, she enjoyed working with the residents and making them smile and laugh with her funny antics and dances as she worked. She left the care center is the mid-nineties when Chester decided to retire from full time farming and moved the eight miles to their son Ernie's farm. Ellen enjoyed cooking for her family, taking care of the many cats and dogs that she had over the years, and the many fishing and sight-seeing trips she took with Chester in their retirement. Ellen was preceded in death by her husband Chester; parents; brother, Herb Phillis, sister, Helen Marie Phillis; sisters-in-law, Glenda Phillis and Loretta Phillis; and brothers-in-law, William Howe, Robert Selby and Jerry Stambaugh. Survivors include her two sons,Ernie Stambaugh of Villisca, Chet Stambaugh and his wife Crystal of Shenandoah; grandchildren, Alex of Storm Lake, Iowa, Mackenzie Gaunt of Villisca, Allison Kinser of Shenandoah; two brothers, Richard Phillis and his wife Mary Del of Elk Horn, Nebraska, Cline Phillis and Joyce Anson of Brea, California; two sisters, Verda Selby of Washington and Carol Jane Howe of Elk Horn, Nebraska; along with many other nieces, nephews, other relatives and friends.